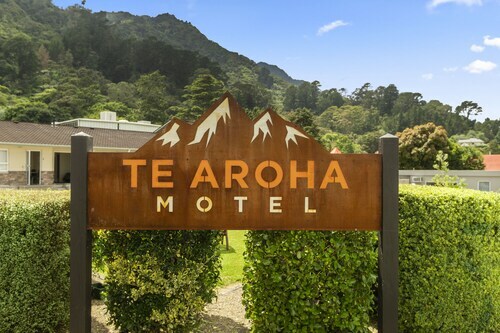 Offering direct access to the beach, this Waihi Beach motel is 1.3 mi (2.2 km) from Orokawa Bay and within 9 mi (15 km) of Gilmour Reserve and Athenree Hot Springs. Waihi Arts Centre & Museum and Gold-mining Museum and Art Gallery are also within 9 mi (15 km). Situated in Waihi Beach, this lodge is 2.6 mi (4.2 km) from Orokawa Bay and within 9 mi (15 km) of Athenree Hot Springs and Gilmour Reserve. Waihi Arts Centre & Museum and Gold-mining Museum and Art Gallery are also within 9 mi (15 km). Situated near the beach, this motel is 1.8 mi (2.9 km) from Orokawa Bay and within 6 mi (10 km) of Athenree Hot Springs and Gilmour Reserve. Waihi Arts Centre & Museum and Gold-mining Museum and Art Gallery are also within 9 mi (15 km). For those visitors who are hoping to find accommodations close to downtown Waihi Beach, there are a few places to choose from within a 10-kilometre distance. There's nothing quite like being able to walk from your hotel room into the middle of town. 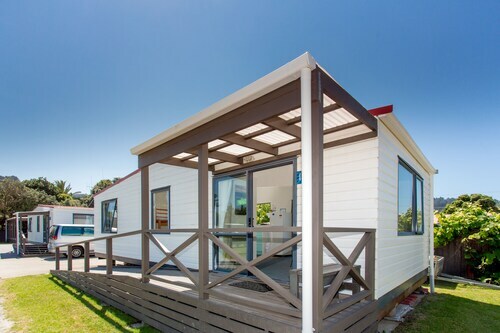 Luckily, Wotif offers a number of accommodations situated within a 3-kilometre radius of Waihi Beach's centre, including the Waihi Beach TOP 10 Holiday Resort and Beachaven Kiwi Holiday Park. 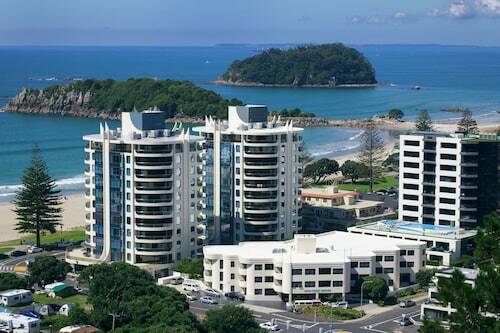 You could look at the Quest Mount Maunganui as well as the Baywatch Motor Inn. The Quest Mount Maunganui is positioned 35 kilometres away from the heart of Waihi Beach. The Baywatch Motor Inn is positioned 35 kilometres away. Another possibility is to book a room at the Calais Mount Resort or the Blue Haven Motel. After you've had fun in Waihi Beach, ensure you have enough time to explore Bay of Plenty's other cultural and scenic delights. Bay of Plenty boasts beaches, coastal plains, forests and rivers, as well as commonly visited Bay of Plenty sights like the art museums, nature museums and history museums. Common pastimes in this particular part of New Zealand include mountain biking. Don't skedaddle before you have checked out the Memorial Park, Robbins Park and Blake Park in Tauranga. The Asure Macys Motor Inn And Conference Centre and Harbinger House - B&B are some of the great hotel and apartment options in Tauranga. Alternatively, you could stay in Rotorua, 85 kilometres to the south of Waihi Beach, where you can pick from the Regent of Rotorua and Jet Park Hotel Rotorua. Regardless of whether you're passing through or spending a few nights in Rotorua, make sure you visit the Lake Rotorua, Polynesian Spa and Kuirau Park. Situated 35 kilometres away from Waihi Beach is Tauranga Airport. 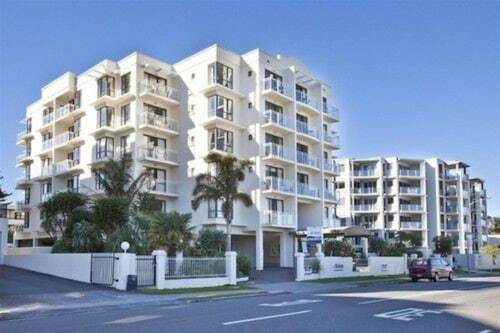 Stay nearby at the Quest Mount Maunganui or the Baywatch Motor Inn. How Much is a Hotel Room in Waihi Beach? 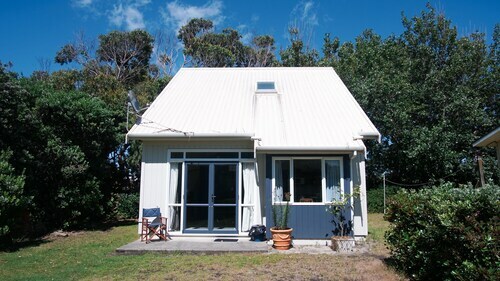 Hotels in Waihi Beach start at NZ$109 per night. Prices and availability subject to change. Additional terms may apply. It was a little noisy. The curtains in the bedroom do not make the room dark enough.